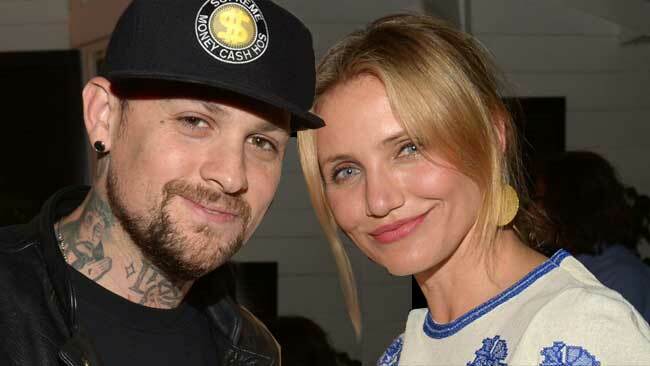 Cameron Diaz and Benji Madden are now husband and wife after tying the knot last night (January 5th). Rumors of a wedding had circulated online yesterday after Diaz and Madden reportedly hosted a rehearsal dinner in Beverly Hills on Sunday. According to Us Weekly, guests at the rehearsal dinner were handed drinks as they arrived at around 7:30 pm and stayed for about three hours. TMZ added to the wedding rumors by offering photographic evidence of deliveries showing up at Diaz’ mansion throughout the day yesterday, including trucks for a catering company, florists, Classic Party Rentals, and Beverage Warehouse. Cameron and Benji were first linked in May after they were set up by his sister-in-law, Nicole Richie. News of their engagement first broke last month.